On August 22, 2005 I could witness a special performance on the “Aspiration- Ground” in Queens, New York. 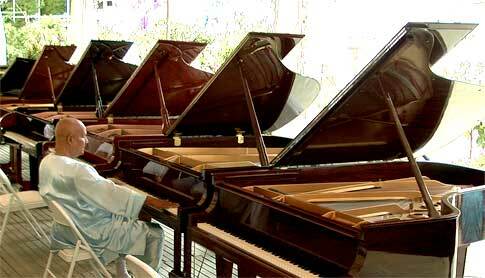 Celebrating his 74th Birthday Sri Chinmoy played on 74 pianos in a row. The variety of pianos was ranging from simple to expensive concert pianos, from all possible brands and in various shapes and colours. Some students of him who professionally work with pianos, hired a couple of trucks to bring all the instruments to the former tennis court, where the maestro made his record performance. He first meditated and then started with piano no. 1. On each instruments he tried to bring out its soul by doing spontaneous improvisations or performing his own melodies. More than a thousand of his disciples attended this special concert and I had the chance to be very close to the action, taking videos of the whole event. We photographers and videographers tried to be very quiet not to disturb the master’s meditative play. As with his art exhibitions, the totality of the music pieces created a unique meadow of notes, never heard before. For those of you who are inspired by the 74 piano concert a DVD is available. You can also watch an online version here. 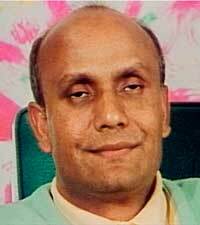 “Jharna-Kala” is the name Sri Chinmoy has chosen for his artwork. It is a Bengali expression and signifies art flowing from the source of creation, flowing from the inspiration the artist receives in his meditation. The paintings are spontaneous and uplifting. Their composition is the intuitive interplay of light and colour flowing across the canvas in both serene and exhilarating rhythms. Never have I met such paintings. They are definitely a new art form: 100 % from the heart, leaving the mind aside. Created in seconds and minutes, they represent the vastness of the spirit and show the beauty of the colours and shapes. I personally have a strong relationship with Sri Chinmoy’s art. The moment I encountered his paintings, I felt a strong attraction. I am therefore happy that I could build a little collection with original artworks, created with vivid acrylic colours. They are only a small segment of a huge body of work, consisting of 150’000 paintings and around 15 million bird drawings. Some pictures can be seen on www.srichinmoyart.com, the ones from my own collection here. I also produced several slideshows and short documentary features that can be watched on www.srichinmoy.tv. Enjoy them! In 1992 I could witness Sri Chinmoy’s largest concert in Japan, which took place in the famous Nippon Budokan Hall in Tokyo. When there was a concert of Sri Chinmoy I usually went very early to the concert place because I wanted to have time to prepare my video equipment and find a nice angle to view the concert. When I came the vicinity of the hall I recognized that masses of people were aproaching the hall in the early afternoon. So, I thought there might be football much or something big happening before. But then I realized that these were all seekers coming for the big meditation concert in the evening, that was announced with many posters. It was amazing to see how patiently the masses of people waited in a one proper line, reading a paper or a book – all waiting to get a free ticket at the entrance. 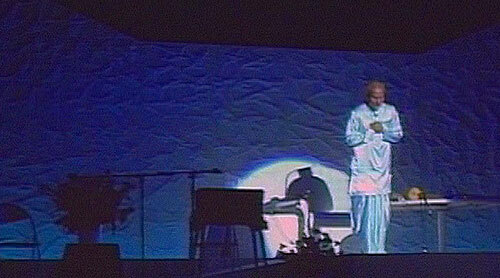 Finally 10’000 people came and the hall was packed when Sri Chinmoy appeared on the huge stage, decorated with simple structured panels. For the piano performance the organizer had prepared a laser show which perfectly fit the modern tunes of the master’s improvisations. At the end Sri Chinmoy invited all his Japanese students to perform a song on stage which he especially composed for Japan. The Japanese concert was for certainly a highlight of the 777 concerts he gave over his lifespan worldwide. If an Avatar comes down to earth, it is a great privilege to be together with him. With Avatar I mean a fully realized master who represents the highest and is one with the will of the Supreme. Sri Chinmoy certainly fills in this category and with his immense body of creative output is certainly a significant part of today’s spirituality. What we can do as his disciples is to continue manifesting his light, especially now as he is no more with us in the physical. I recently saw an early 16mm film of Sri Chinmoy, produced around 1975. It started with art. 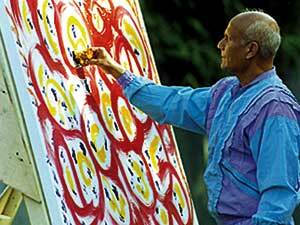 Sri Chinmoy is doing Jharna-Kala painting records and shows his work for the first time in public. One of the achievements was the creation of a big canvas, several meters long. Another chapter shows him in Samadhi in his home, a kind of highest meditation rarely seen in this form. 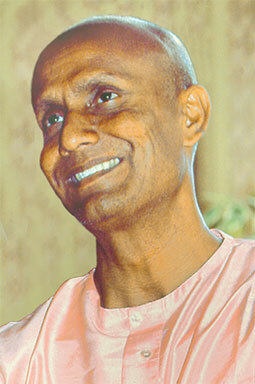 But the film also shows Sri Chinmoy driving himself to the UN where he conducted twice weekly meditations for the staff. One film section is especially cute: you see him taking breakfast and he expresses his love for cucumbers. The last part shows him walking to a meditation on a meadow and then demonstrating several divine qualities and meditation techniques. Moving pictures from Sri Chinmoy are always precious because they bring his life essence back – you forget that he is already in the other world. 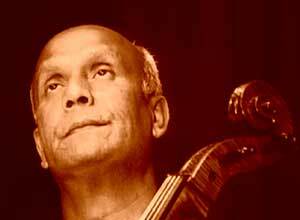 On September 11, 2005, Sri Chinmoy came to Switzerland to play the largest number of musical instruments in one single concert. He chose the Swiss mountain village of Interlaken for his record concert. I was lucky enough to be there and also recorded the event on video which I produced in DVD form. 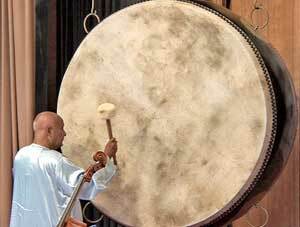 The picture shows him with a gigantic drum, the 170th instrument!